Ottawa (VNA) – Vietnam still recorded a trade surplus of 455.5 million USD with Canada in the first two months of this year. Two-way trade reached 717.7 million USD, a year-on-year rise of 117 percent. 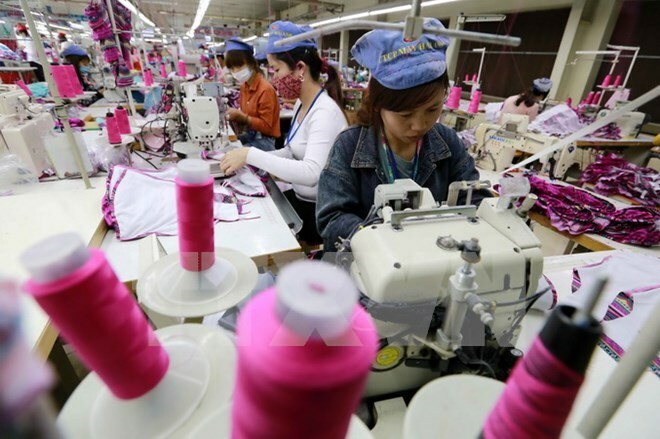 Canada’s exports to Vietnam surged unexpectedly in January – February, according to Trade Counsellor of the Vietnamese Embassy in Canada Hoang Anh Dung. The country exported 131.1 million USD worth of goods to Vietnam in the period, representing a year-on-year rise of 105.4 percent. High growth was seen in such commodities as coal (38.3 million USD, up 52.7 percent), cereals (38 million USD, up 1.1 percent), and flight training equipment and spare parts (6.8 million USD, up 3.7 percent). Meanwhile, Vietnam exported 586.6 million USD worth of goods to Canada, a yearly increase of 6.6 percent. Vietnam’s staples include machines, electronic equipment (147.7 million USD), footwear (79.6 million USD), apparel products (63.6 million USD), woven products (61.2 million USD), and timber products (46.6 million USD).